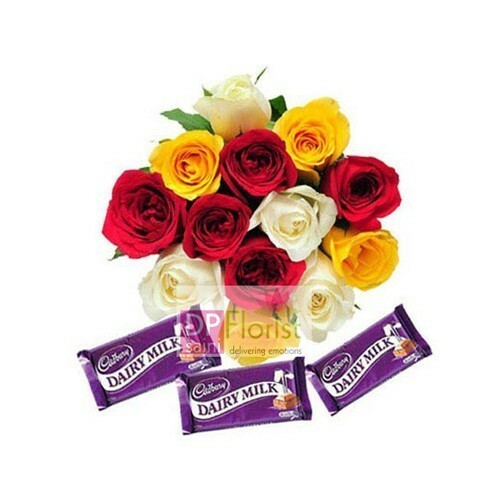 Lovely large combo of 5 dairy milk, half kg butter scotch cake and 6 pink roses beautiful bunch with lovely 6 inch teddy to your loved ones. 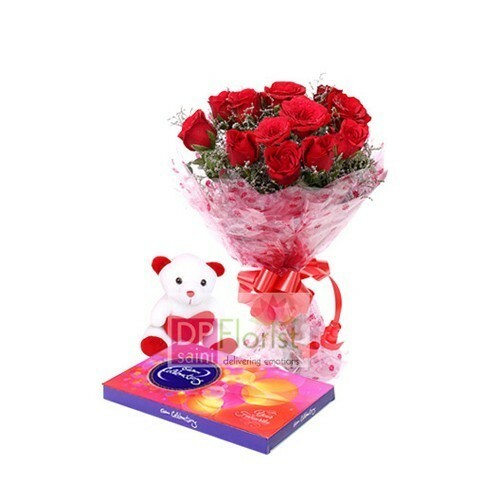 Lovely combo of 10 pink roses, 6 inch teddy and 5 Cadbury small chocolates to your loved ones and surprise him or her on the special day. 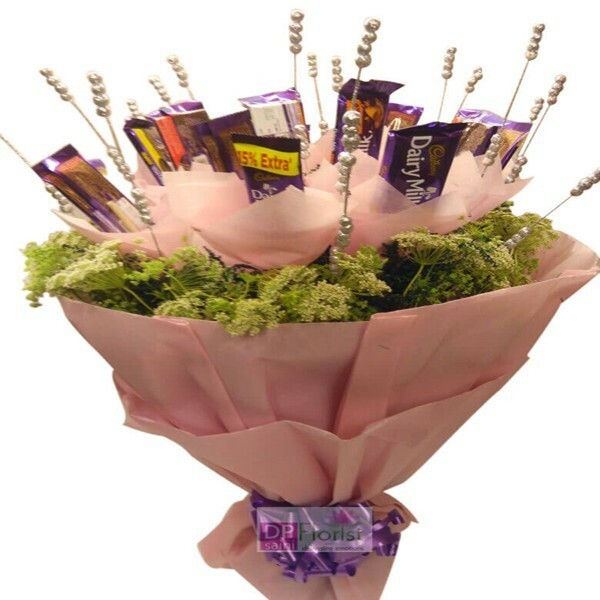 Lovely bunch of 15 chocolates cadbury mix together with nicely packed with pink paper,silver dry sticks and purple ribbon for your loved ones. 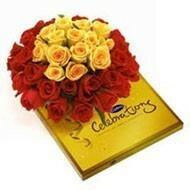 Arrangement of 20 Red and yellow Roses with 1 small Cadbury Celebration Pack. 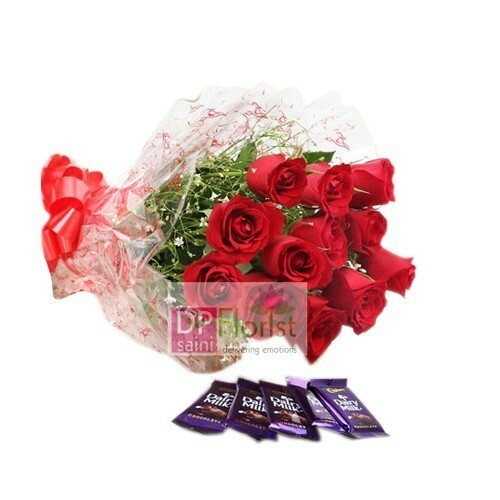 Beautiful combo of 12 red roses,cadbury celebration box and “6”inch teddy bear for your loved ones. 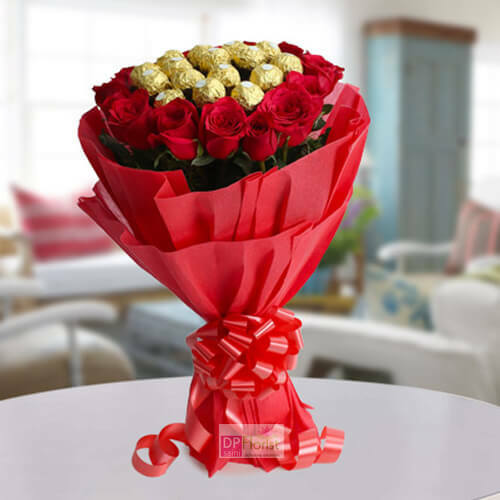 Send this nice bunch of 8 red and 5 white roses with 7 cadbury chocolates 25 gm each nicely paper packed to your loved ones and surprise him her through this fresh flower and chocolates bunch.Send it through DP Saini florist. 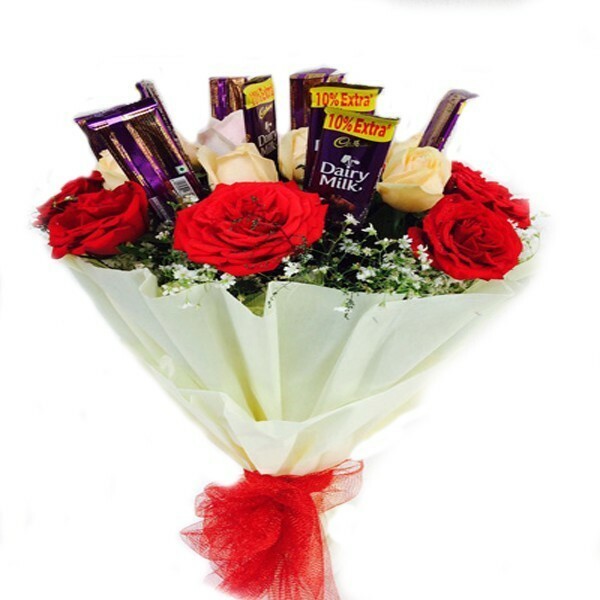 Bunch of 5 Red, 4 yellow & 4 white Roses in cellophane packing with matching ribbon bow with 3 cadbury Dairy milk chocolates.